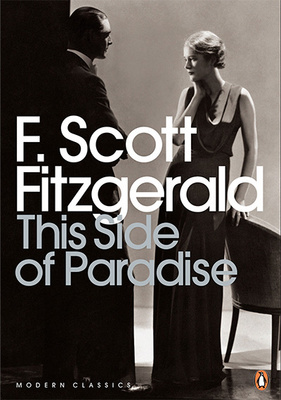 March 20th 1920; “This Side of Paradise” is published, immediately launching 23-year-old F. Scott Fitzgerald to fame and fortune. Fitzgerald, named for his ancestor Francis Scott Key, author of “The Star Spangled Banner,” was born in St. Paul, Minnesota, to a once well-to-do family that had descended in wealth and influence. With the funding of a well-off aunt, Fitzgerald was sent to boarding school in New Jersey in 1911 and attended Princeton University two years later. Although Fitzgerald engaged actively in theater, arts, and other campus activity, his financial background was considerably poorer than those of his classmates, and his outsider status, whether real or imaginary, left a sting. He left Princeton after three years and joined the army during World War I. While in the military, he was stationed in Montgomery, Alabama, where he developed a romance with the privileged, pampered Zelda Sayre, daughter of a State Supreme Court justice. Like the heroine of The Great Gatsby, she rejected the young man, fearing he would not be able to support her, and like Gatsby, Fitzgerald vowed to win her back. He moved to New York, rewrote a novel about Princeton he had started in college, and promptly became the youngest author ever published by Scribner’s. His fame and fortune secure for the moment, he convinced Zelda to marry him, and the two began a whirlwind life of glamorous parties and extravagant living in New York. Unfortunately, the Fitzgeralds lived far beyond their means and soon found themselves deeply in debt. They moved to Europe, hoping to cut back on expenses, where they befriended other expatriate writers, including Ernest Hemingway and Gertrude Stein. While in Europe, Fitzgerald finished his masterpiece The Great Gatsby (1925). Unfortunately, the Fitzgeralds failed to cut back on their extravagant ways. Although Fitzgerald published dozens of short stories-178 in his lifetime, for which he was amply paid-the couple’s debts mounted. Fitzgerald plunged into alcoholism, and his wife became increasingly unstable. In 1930, she suffered the first of several breakdowns and was institutionalized. She spent the rest of her life in a sanitarium. Fitzgerald’s next novel, Tender Is the Night, failed to resonate with the American public, and Fitzgerald’s fortune’s plummeted. In 1937, he moved to Hollywood to try screenwriting. He fell in love with a Hollywood gossip columnist, stopped drinking, and began renewed literary efforts but died of a heart attack in 1940, at the age of 44.